Founded in 2012 & state licensed. LendUp offers loans in 23 States. Earn points on timely repayments. 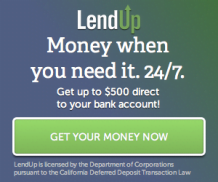 LendUp, a San Francisco, California-based company established in 2012, is a socially responsible direct lender providing short-term loans online in 23 states. 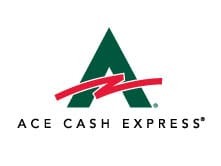 They present their financing as a better alternative to payday loans. LendUp offers financing that is similar to a payday loan, which ranges between $100 to $1000 and loan term of 7 to 30 days. However, for the first time borrowers, the maximum loan amount will not exceed more than $250. If you are a returning customer with proven record of on-time payments, you may gradually qualify for a higher loan amount up to $1000, if the state law permits. LendUp stands different from other traditional payday lenders, due to some unique features it offers to the borrowers. They do not allow rollovers, borrowers struggling to repay are asked to reach out for alternative solutions. If required, borrowers can receive a 30-day extension on their loan at no additional charge. No loan rollover indicates, protecting borrowers from getting trapped into a deeper debt cycle. No hidden fees or surprises on the payment date, upfront, clear terms, and conditions are provided. Another unique feature is the LendUp Ladder, by using this tool customers can earn points by making on-time payments, taking free financial educational courses and also by referring friends. The higher you climb the LendUp Ladder, you gain access to more money at lower interest rate. Citizen or permanent resident of the U.S.
LendUp has no storefronts and only offers short term loans online. The application process can be completed online in a couple of minutes. The website is user-friendly, and it is entirely compatible with all the leading devices, no matter whether it’s a laptop, desktop, smartphone or tablet. All information passes through high-level encryption, to keep all your info protected and safe. The online application form requires you to enter different personal details such as your full name, social security number (SSN), valid contact number, valid current email address, complete home address, place of employment details (employer’s details) and banking information. On submitting the form, you may receive an immediate response on whether you qualify for a loan. The deposit time for approved loans is usually next business day; the funds are electronically transferred to the applicant bank account. Instant and same day deposit options are available, in case your debit card supports for an additional fee which will be applied to your repayment amount. The funds will be available in your bank account within 2 hours after using this options. LendUp markets interest rate as low as 29%. However, for the 1st time borrowers, the rate of interest ranges similar to other payday loan lenders. The rates may vary anywhere between 210% to 767% based on the loan term. Repeat customers can qualify for lower interest rates and longer loan term, by progressing to a higher level on the LendUp Ladder and by making on-time payments towards their previous loans. LendUp Ladder is a point based system; customers earn points on making regular repayments, taking online credit courses and also by referring others. There are four different levels of this ladder system, Silver, Gold, Platinum, and Prime. As soon as the customer progresses to a higher level, they will gain access to more funds at a lower interest rate for a longer time. Another additional benefit for customers, who have reached on levels like Platinum or prime and make timely payments. LendUp will start reporting their repayment history with all the major credit agencies; this will build and improve their credit scores. Customers get access to a personal online dashboard, where they can check their loan details, take online courses and can keep track of their LendUp Ladder points. Safety 256 bit secure sockets layer. COMODO Extended Validation Secure Server. State Licensed Currently licensed in 23 states. 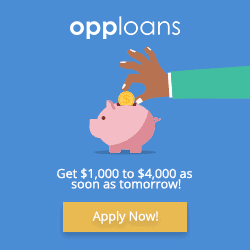 Loan Amount $100 to $250 for new customers. 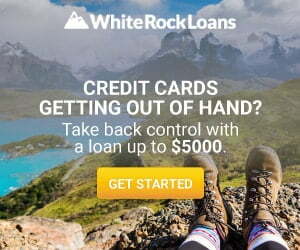 Up to $1000 for returning customers, depending on past payment history. Amounts may vary depending on the state. APR May vary depending on the state. Loan Period May vary depending on the state. BBB Rating Not BBB Accredited. Funding Time As soon as next business day. Alabama $250 $39.85 415.58% $289.85 *Calculation is based on 14 day tenure. California $200 $30.10 392.38% $230.10 *Calculation is based on 14 day tenure. Florida $200 $21.10 275.05% $221.10 *Calculation is based on 14 day tenure. Hawaii $200 $31.00 404.11% $231.00 *Calculation is based on 14 day tenure. Idaho $200 $44.60 581.39% $244.60 *Calculation is based on 14 day tenure. Illinois $200 $25.90 337.62% $225.90 *Calculation is based on 14 day tenure. Indiana $200 $24.90 324.59% $224.90 *Calculation is based on 14 day tenure. Kansas $200 $24.90 324.59% $224.90 *Calculation is based on 14 day tenure. Louisiana $200 $30.10 392.38% $230.10 *Calculation is based on 14 day tenure. Maine $250 $25 260.71% $275 *Calculation is based on 14 day tenure. Minnesota $200 $13.90 181.2% $213.90 *Calculation is based on 14 day tenure. Mississippi $200.00 $34.90 454.95% $234.90 *Calculation is based on 14 day tenure. Missouri $200.00 $44.90 585.3% $244.90 *Calculation is based on 14 day tenure. New Mexico $200.00 $30.70 186.76% $230.70 *Calculation is based on 30 day tenure. Oklahoma $200 $24.90 324.59% $224.90 *Calculation is based on 14 day tenure. Oregon $200.00 $25.92 152.59% $225.92 *Calculation is based on 31 day tenure. South Carolina $750.00 $432.57 177.57% $1,182.57 *Calculation is based on 6 months tenure. Tennessee $200.00 $29.80 388.46% $229.80 *Calculation is based on 14 day tenure. Texas $250.00 $64.96 316.14% $314.96 *Calculation is based on 30 day tenure. LendUp is licensed as a Credit Access Business (CAB) in Texas. Utah $200.00 $27.05 352.62% $227.05 *Calculation is based on 14 day tenure. Washington $200.00 $30.00 391.07% $230.00 *Calculation is based on 14 day tenure. Wisconsin $250 $57.40 598.6% $307.40 *Calculation is based on 14 day tenure. Wyoming $200 $34.90 454.95% $234.90 *Calculation is based on 14 day tenure.